Finding a 24 hour locksmith in the Cincinnati area is not hard to do. Finding high quality, trained professionals, however, is more difficult of a task. 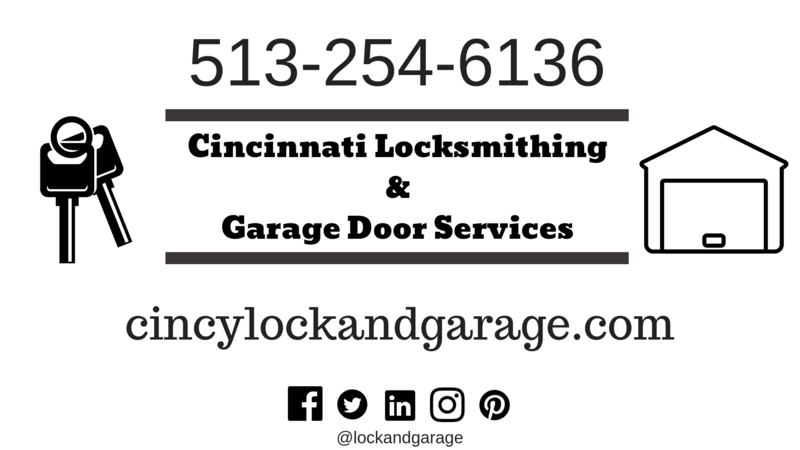 When you contact Cincinnati Locksmithing and Garage Door Services in Cincinnati, we will go above and beyond to make sure you are 100% satisfied. Whether you are just locked out of your vehicle and need a key programmed, or if you need your garage door to function properly, call the pros at JJ’s Premier Services LLC (AKA Cincinnati Locksmithing and Garage Door Services). Customers have given us 5 star reviews because of our outstanding customer service. Our team has more than 30 years of combined experience in the field. Our service area includes: Sharonville, West Chester, Colerain, Norwood, Mt. Healthy, College Hill, Kenwood, Indian Hill, Mason, Oakley, Anderson, NKY, and all surrounding areas.